A domestic violence conviction has serious criminal ramifications as well as other consequences. Besides any jail or prison sentence imposed, a domestic violence conviction counts against you in child custody disputes and divorce proceedings, makes it difficult to pass background checks, prohibits you from owning guns and from hunting, and subjects you to costly and intrusive treatment programs. If you are not a citizen you could be deported. If you are facing domestic violence charges in Miami-Dade or Broward counties it is crucial that you have an attorney with a proven track record in defending and prevailing against criminal charges. 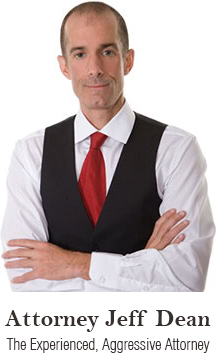 Attorney Jeff Dean has that record with a long history of success in taking on and winning many serious criminal cases. Mr. Dean’s extraordinary track record includes winning landmark and precedent setting cases, having trial and appellate courts strike down laws as unconstitutional, and winning Not Guilty verdicts and dismissals of charges in cases ranging from DUI to homicide. Jeff Dean has repeatedly won DISMISSALS of domestic violence charges, and he has again and again saved immigrants facing charges from being deported. In your case, Mr. Dean will examine the allegations and determine the best defense strategy. He may prove the accusation against you is false and was made up in the heat of an argument, as retaliation, or to gain an upper hand against you in a divorce or other court proceeding. Jeff Dean might also prove you that you acted in self-defense or that you did not have the requisite intent to cause the alleged harm. You are presumed innocent. Because you have been charged with domestic violence does not mean you are guilty. Protect your rights, call Jeff Dean today: (305) 967-6311 or (954) 204-3633.